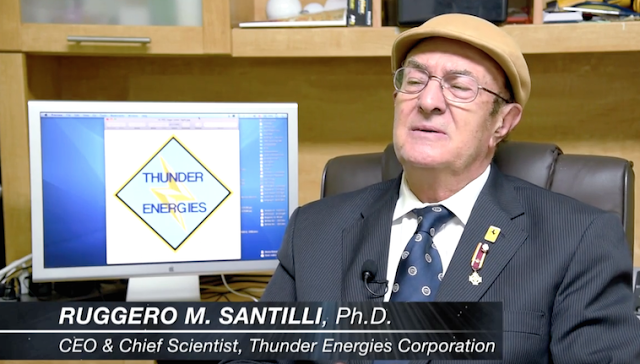 Researchers for Thunder Energies Corporation, Tarpon Springs, Florida, were using a revolutionary Santilli telescope with concave lenses designed to prove the existence of anti-matter in space. The telescope reportedly produced evidence of the possible existence of antimatter galaxies, antimatter asteroids and antimatter cosmic rays. And swimming in the black soup of the atmosphere surrounding Earth were seen moving invisible life forms looking unlike anything man has ever found on Earth. From the published images, it appears that these creatures have long stringy bodies attached and twisted like several upside-down U’s and all of them propelled by some kind of jet energy. What they are or why they exist is yet to be discovered. That they exist in the invisible space all around us suggests that life is in existence even in the black void of space, at least the stratosphere surrounding our planet. Could that life force also exist beyond Earth’s stratosphere . . . filling all of the vast vacuum throughout the known and alternate universes? This would explain how so many different life forms have come and gone on Earth since our planet cooled to a point where it could support life. Darwin’s Theory of Evolution was but the first step in explaining varieties of species. But short of believing the story in Genesis, that all life was created by a grandfather God in seven days, there has been no explanation for the various sea creatures, land animals, insects, birds, plants, fungi and other life forms competing for space on Earth. Santilli has produced images, as shown with this story, that appear to push back his sceptics who laugh at the very thought of negative energy, a negative universe and invisible living forms swimming around in what to us is a black nothingness of space. So is Santilli right or is his amazing story just a hoax? If he is on to something, we may be having a new and exciting glimpse of the very God that surrounds us all.